Unravel Two is ranked in the 81st percentile of games scored on OpenCritic. 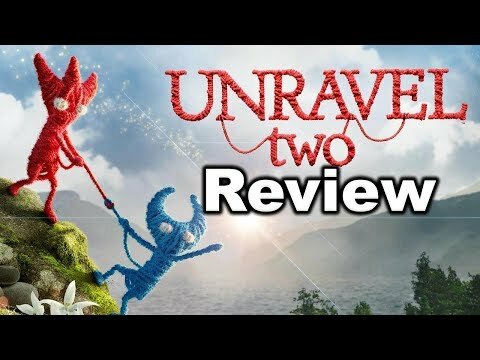 With beautiful graphics, a charming and emotive set of main characters, an amazing soundtrack, and wonderful gameplay Unravel Two is one of my favorite games to come out so far in 2018. Unravel Two is just a pleasure to play. There is enough personality, charm, challenge, and life in this game to deem it a far better improvement over the original. The two-player complexity was a tough sell, but well worth the buy once you get into it. The team at Coldwood Interactive have took what was already a delightful platforming experience and improved it ten-fold thanks to the addition of a second character. Swinging your way through Unravel Two’s impressive levels with a friend is just a blast, whilst the improved level design and tighter controls just add to the experience. Unravel Two was a really pleasant surprise when it was revealed at E3 2018, and after playing it through to its conclusion, it’s actually exceeded my already high expectations. Whether playing on your own or with a trusty co-op partner, Unravel Two is simply a stunning adventure that you don’t want to miss out on. The surprise sequel to Unravel is out now but how does it improve on the original? Unravel Two follows the path of its amazing prequel and turns out to be a true piece of art. A game that thanks to its artistic and level design manages to entertain and move the player. When it comes to impressive video game sequels, Unravel Two is up there with the best. Some games are simply a pleasure to play from beginning to end, and Unravel Two is one of them. Unravel Two is a great platform game. It presents cooperative mechanics that are excellent in two players, but that can be very well used in the single-player mode. The campaign can be relatively simple, but there are challenges that will require effort from the player(s). The downside is the few stages and the story that the game wants to tell that is not very interesting. It somewhat goes without saying, but Unravel Two feels like the organic evolution of the franchise. The introduction of cooperative mechanics proved to be just enough change to keep things fresh, while still preserving what made the original so special. Weaving the matured puzzle design in amongst the already stunning art style produces a visual patchwork quilt that is unlike anything else on the market. If you can set aside the odd storytelling decisions and the occasional platforming quirk, Yarny's newest quest is one you won't want to miss. Unravel Two is a charming, great looking and fun 2D platformer on PlayStation 4 that improves on what its prequel did, giving us a better experience that introduces new elements into the mix to give us a more dynamic game. The available co-op mode, where someone can join at any time during your run with the game, is certainly a welcome addition, and a great way for friends or family members to join you on this adventure. 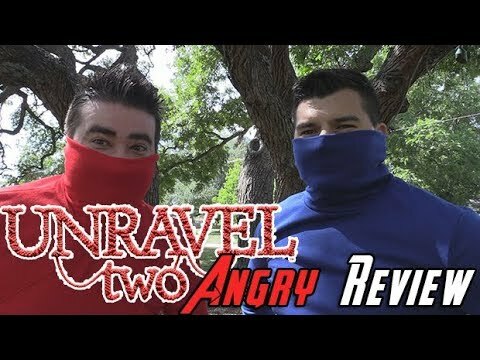 Be sure to check out Unravel Two today! Unravel Two is easier and shorter than the firt game, but the artstyle is still beautiful and cooperation works pretty well. Unravel Two introduces new mechanics on the already excellent gameplay of the first chapter. It's necessarily less evocative, with some locations not so exciting, but manages to make you fun and feel deep emotions. After playing Unravel Two, I was bummed its predecessor completely flew under my radar. Unravel Two marks a little, but clear evolution from the first game while adding a second, playable character. The game keeps on looking gorgeous and, despite improving almost all of its physics and mechanics, the game dissolves the difficulty it was previously known for. Unravel Two is an elegant indie game with excellent puzzles, friendly difficulty, and outstanding art style. Unravel 2 remains magically beautiful and cleverly extends its basic concept. A real leap in quality, however, remains. Just like its director speaking onstage at E3 2015, the game isn’t perfect. Certain aspects of the controls could be better and playing the game solo can feel repetitive and a bit of a drag at times. Unravel Two, however, makes up for its faults with its earnest disposition and likable charm. Co-op play especially enhances the experience, turning it into a fun and hilarious exercise even when you're failing miserably. If you’re a puzzle-platformer fan who's looking for a game to enjoy with friends, your kids or a significant other, Unravel Two is one needle that you’ll definitely want to thread. Every bit the tactile, heart-rending experience that the first game was, but with added layers of complexity thanks to co-op - as well as enhanced replay value - Unravel Two is a fuzzy, warm hug of a sequel that'll make you smile. Unravel 2 has managed to outshine its predecessor in every way. It is a great co-op platformer that is smart, charming and challenging at times with a terrific central theme to tie it all together. Unravel Two is a fantastic successor to the original and the ultimate proof that you don't always need to reinvent the wheel in a sequel. The addition of a second playable character and slight speed boost are all Unravel needed to elevate itself from a good game to a great one. Unravel Two takes some respectable risks with making a charming and competent cooperative experience, but pays the price by feeling more like a whimsical diversion than a true sequel. Unravel Two appears to be a real treat for your eyes and ears, as well as its predecessor. The possibility to control two Yarnys, alone or with a friend, is a real addition to this poetic journey. The seven levels of the main story can be completed really fast but the extra missions extend the experience for the players seeking for some challenge. Unravel Two improves upon the original title by not only introducing co-op play, but by also refining the series' uncompromising mechanics. It's a shame that the perplexing story can't match the emotional beats of the last Yarny adventure, though. Unravel Two is equally as good as the emotionally pleasing original. Although I would’ve liked more challenge in the campaign, I still had fun with Unravel Two right up until the very end. Yarny is an adorable character that stole my heart right from the beginning, and the unique puzzles that come from both characters being literally strung together made for a fresh spin on co-op puzzle solving. The original Unravel surprised many people when it originally released and Unravel Two is an excellent continuation of that game. The game may feel quite similar to the first one, but there is still plenty new here to enjoy for both those that played the first or those who didn’t and just want a fun new puzzle platformer. Unravel Two is a worthy sequel that surpassed the first game with fun and dynamic cooperative mode, but has lost noticeably in terms of plot and few other aspects. 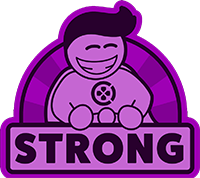 Nice acrobatics, excellent puzzles, lots of bonuses for those who love serious challenges, and an excellent atmosphere make this project one of the best in the genre. Unravel 2 is charming, gorgeous, challenging fun that’s great for solo players as well as co-op. I liked playing through Unravel Two with my daughter, and if you're into playing gorgeous couch co-op games, then you're certainly in for a treat since this is a very good puzzle platformer. The game is roughly 4-5 hours long, and is fun to play with friends or family members, so I definitively recommend this release. If you enjoyed the original it's certainly worth going back for more, but there's not enough for returning players that weren't enamoured by its predecessor. Unravel Two is a clever and endearing take on the original's formula, but doesn't come through on its cooperative premise. Unravel Two has a more rich and funny gameplay, but lacks of the sensorial experience of the first chapter. I don't regret having played this, but I do wish it was better. I love playing co-op games and I was excited by the idea of this minimalist platformer giving me an experience to bond over. Sadly, we both we pretty much in agreement on the final outcome. Unravel Two just doesn't quite have what it takes to be special. Cooperative gameplay and challenge levels seems to have led to a lack of charm in this follow-up. It feels like devs really wanted to make a sequel to Unravel but didn't know how to do it. They added a local coop but the story became worse. And the low amount of levels is compensated by a big amount of challenges. But did we really want them?